Winsun specializes in 3D printed buildings. 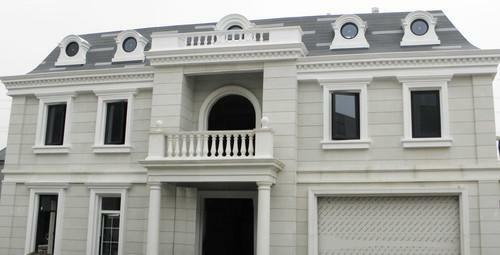 Shanghai-based Winsun has been showing off the two neighboring projects, one an 1100-square-meter villa, the other a 6-story residential block, in the Chinese city of Suzhou. The residential block is the world's tallest 3D-printed building, according to the company. Winsun was founded in 2002, and specializes in 3D printers designed for construction. Last March, it announced it would become a "3D printing home" company and in the subsequent month printed out a set of 10 houses in one day, according to China's state-run Xinhua News Agency. The company's printers are 6.6 meters tall, and work by secreting layers of construction material on top each other to form densely packed building blocks. The "ink" is mainly a mixture of cement and glass fiber. Winsun is promoting the printers as an environmentally friendly technology, given that the ink can be made from recycled building materials. On Monday in an online posting, the Chinese company said its buildings were safe to live in, and that it could manufacture structures as tall as 12 stories. In the future, Winsun wants to expand its printing facilities to 20 other countries. This year, it is focusing on eight markets including Saudi Arabia, Turkey and the U.S. The company sees potential in building new homes for areas hit by disasters, or in developing countries.